#makedeathguardgreatagain started with a podcast from betweenthebolterandme. 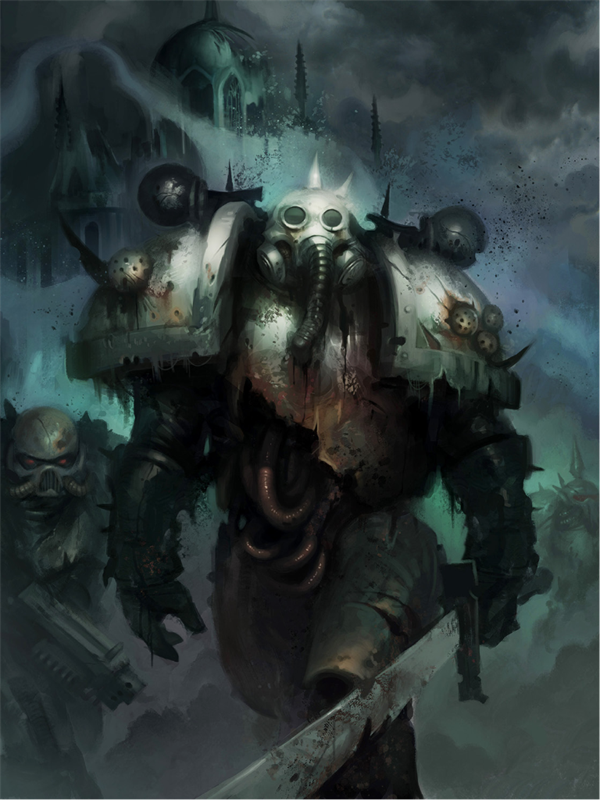 The base premise is that while Chaos getting a (well deserved) push they kinda dropped it with the Death Guard release. For the Wier brothers it was a question of anatomy while for me it was more of an aestetic issue. 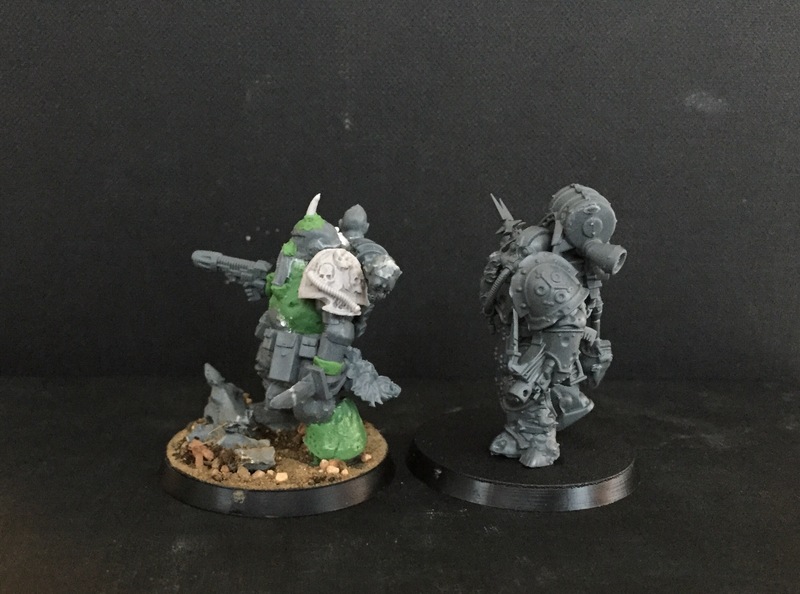 So I decided to make my own and so far I’ve built a couple of plague marines and will make a couple more. My take uses a mix of Blight Kings from AoS and 30k marine bits with primarily these pieces of art as a guidance. The key here is that less is more basically. 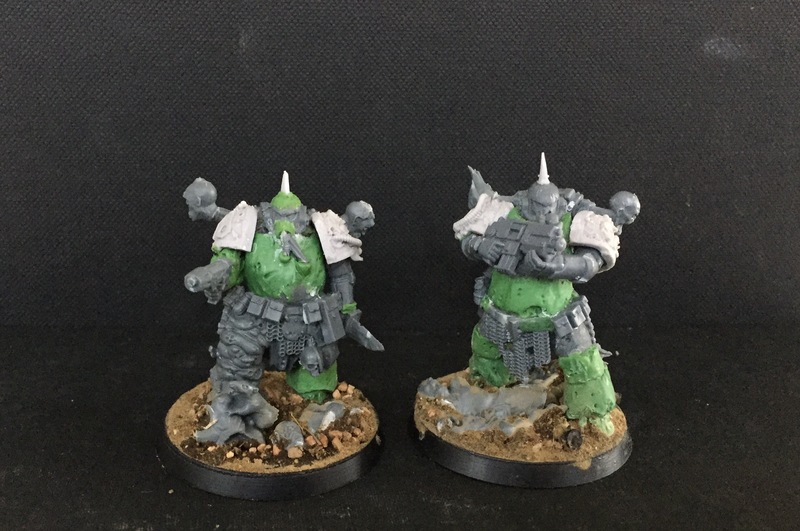 The Sons of Barbarus are stoic, no nonsense – especially no frills. And for me I dont see that changing despite being corrupted. So how does my guys stack? 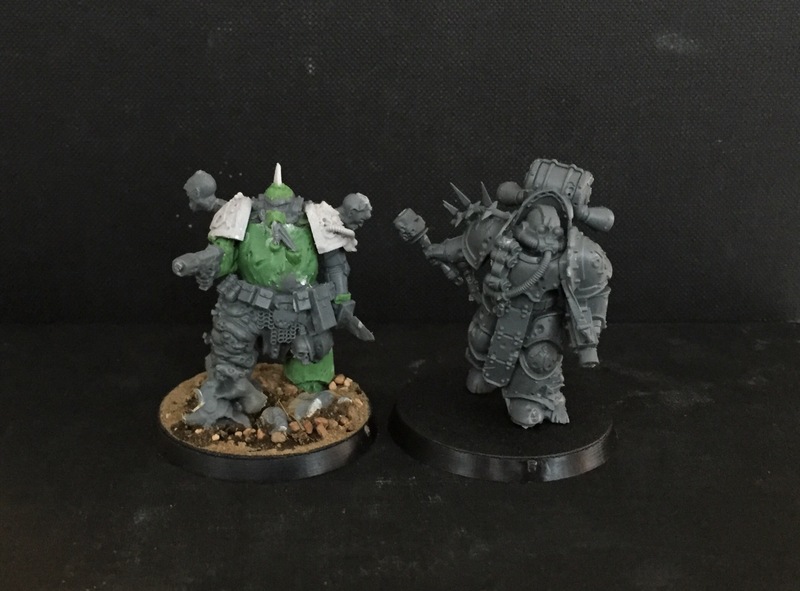 I got to borrow a stock plague marine from a friend to find out. Lets picdump and take it from there. There’s without a doubt a very different style between the two. Yes they’re scale-wise approximately the same size but that’s also where the similarities end. Now this obviously will be subjective..but I’ll give it a shot. Okay so they’re basically the same size but they’re far from scaled in the same way. 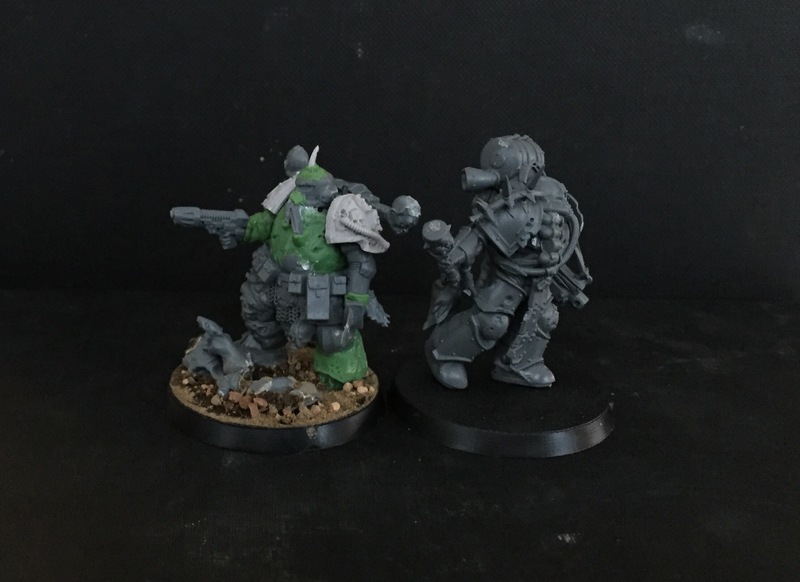 My marine is very clearly scaled up from a 28mm human. 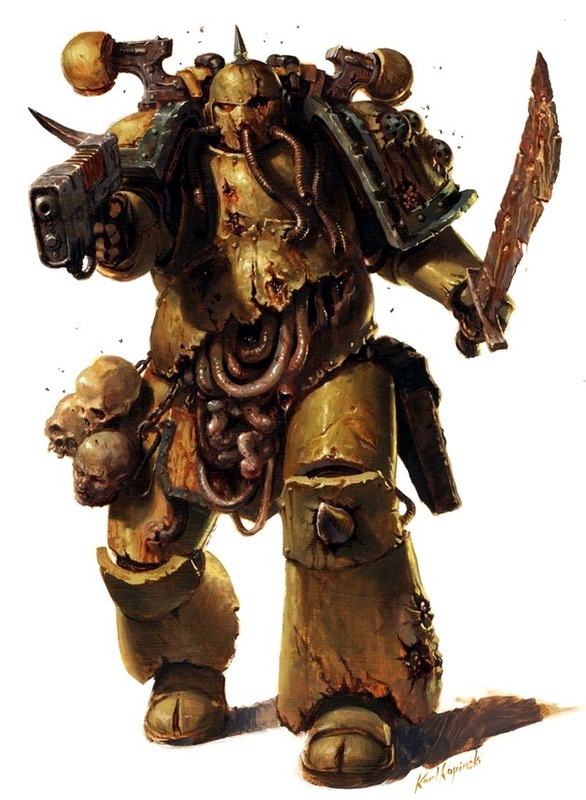 It carries this across particulary with the head and arms while the remainder is bloated up both with the Astartes gene-enhancement and the corrupting nature of Nurgle. 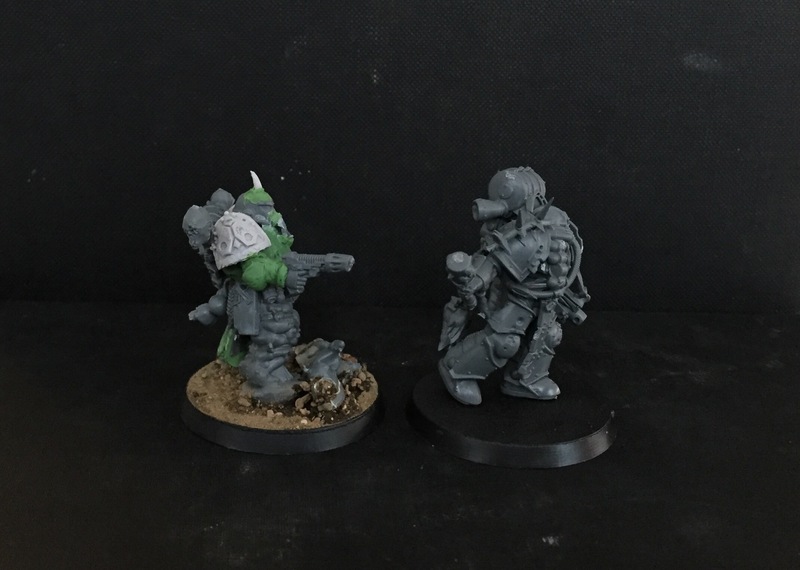 The stock plague marine is a 32mm scaled miniature. 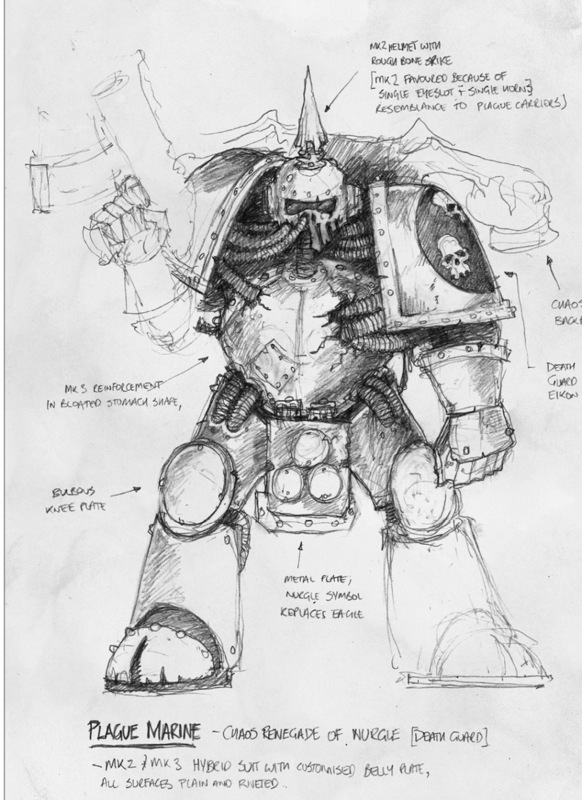 It has a lot of the same wonky and squat anatomy of the more classic space marine. Note how large head is, that’s the most telling body part in regards to it being a 32mm. That and the forearms. 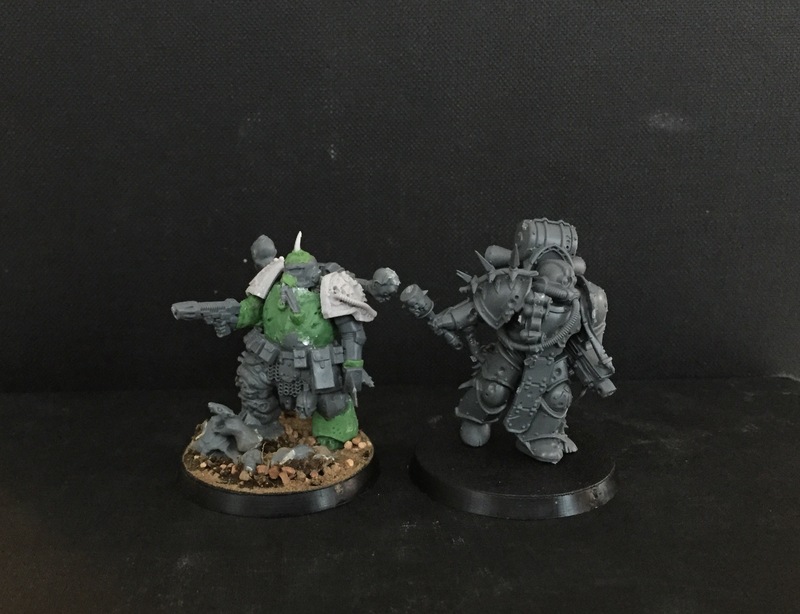 This is the key difference between the two imo and the new stock marines are almost «hero» scale in that sense. Okay so mine are simpler but I’d say they also look more massive with how I’ve laid out the details. This is due to me using the detailing as a frame while on the stock ones there’s almost a frantic need to fill every blank spot with details of some sort. They are way too cluttered for my taste and while a lot of the details are great and well made they’re so busy you struggle to rest you eyes. Like where is the center of the model? Dunno if that makes sense but it is very important in my book. I think that this is the wors aspect of digital sculpting. It is just too easy now. Though we do get a ton of extra bits which is always nice. 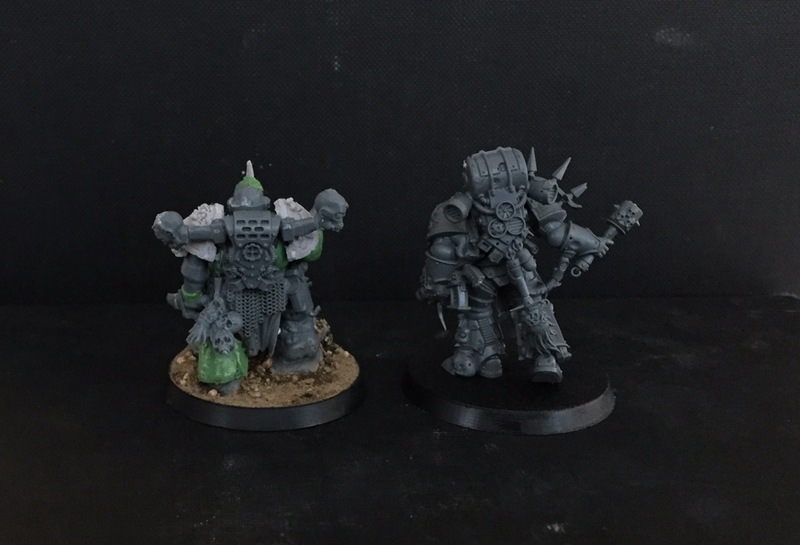 Now I will be the devils advocate and say that for the next generation of players the new plague marines are probably awesome and I suspect that they are the key demographic to be fair – and that’s totally fine! I like other veteran hobbyists will do our own spin on things – and that’s fine too! So that’s my mini take on the subject but I’m interested to hear what you all think! What’s interesting for future releases is how this will impact the scale on other minis in the range. I think 40k will have the same makeover there as AoS had in fantasy. I’m a 40k veteran, but I must say that I really love the new models. Sure, they are indeed very busy, but the details are so damn crisp! One thing I really really don’t like about them, though, is that there are no freedom of posing. All parts have their slot and place. If you want to make more than just the stock 10-15 poses (including weapons) (the legs are unposable) you need to break out your scalpel, and that is even true for the heads! I honestly don’t know if the new level of detail is worth it. As for the intricate sculpts you are spot on and I think that even though this is a typical problem with new GW kits in general it is more pronounced here. My advice/experience is just glue everything together stock them use the new mini saw and knife to repurpose as good as you can.